Scott, what motivated you to start an investment management firm? 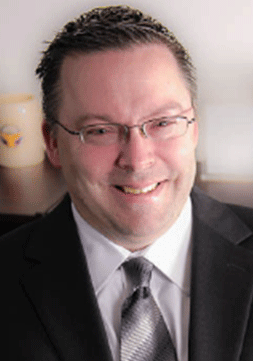 Bernzott Capital Advisors was founded in 1994 by Kevin Bernzott, who was then CEO of the McGaelic Group, a multi-generational family office. Members of that family were the firm’s original clients and remain clients today. As the firm grew, investment professionals, and operations, client service and marketing personnel were hired. I joined the firm in July 2007 as an Analyst. I was promoted to PM/Analyst in January 2010 and promoted to CIO in October 2011. Prior to joining Bernzott, I worked for 10 years in Venture Capital / Private Equity in Phoenix. I believe this training and background was ideal for my current position given the intense emphasis placed on due diligence in VC/PE as a consequence of the small number of large investments made and liquidity constraints faced. Who are the principals in your firm and what are their backgrounds? I believe the investment team’s broad range of experience, Kevin from real estate, Tom from accounting, and me from VC/PE, gives us a strong foundation with various perspectives to assess and invest in diverse industries, companies and situations. Please give us an overview of Bernzott’s investment philosophy? How do you go about doing your investment research? Bernzott Capital Advisors strives to generate superior, risk-adjusted returns by purchasing, at a reasonable price, a concentrated portfolio of high quality, market leading companies. High quality companies possess many attractive traits including; shareholder friendly management teams with consistent operating performance, significant recurring revenue, solid operating margins, reasonable leverage, and strong returns on capital. Selected companies will also typically perform well regardless of economic and industry conditions. We are a bottom up manager and all research is done internally. The market capitalization range of our US Small Cap Value strategy is $500 million to $5 billion at time of purchase and securities must have sufficient float and volume. We use a variety of screens which are initially used to identify companies that have demonstrated consistent operating performance over time. Next, additional screens are completed to identify market-leading companies with significant recurring revenue, solid operating margins, reasonable leverage and strong returns on capital. Lastly, special situation stocks are identified from other sources such as periodicals, investment newsletters and conferences, relationships with executives and general industry knowledge. After the initial list of companies that fit our quality and value parameters is established, we shift our focus to company specific due diligence. This due diligence focuses on company, financial, industry, and competitive and valuation analysis. Included is a visit or call with company management where a series of detailed questions are posed and any areas of concern are explored. From this process, an initial universe of 300+ companies is reduced to a more workable universe of 150+ companies that appear to fit our investment parameters. 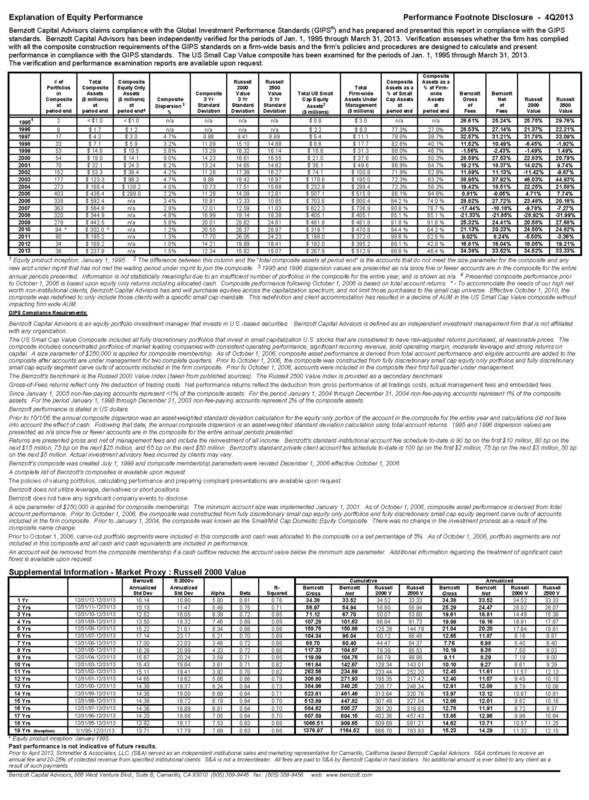 Companies that make it through the winnowing process are presented to the entire investment team in the form of a detailed memorandum outlining the investment thesis, risks, historical financial performance, industry/competitive analyses and valuation multiples and DCF model results. In addition, it outlines an estimate of fair market value and suggested buy and sell prices. The investment team must unanimously agree to add the company to the Buy List. Those not added to the Buy List are relegated to the Watch List for more work. The investment team actively monitors all companies on the Buy and Watch Lists. This consists of conversations or meetings with company management teams, review of financial statements such as 10-K’s and 10-Q’s and reading both quarterly earnings releases, earnings transcripts, conference slide-decks and conference transcripts. Should a company on the Watch List be considered for promotion to the Buy List, all analyses and the investment memorandum will be updated and presented to the investment team once again. What were the greatest influences behind your current investment methodology? Give us an example of the most important factors you look for in finding a small company that you believe has great investment potential. Simply put, we are trying to buy quality companies at the right price. First, we focus on quality. Specific traits we looks for are market leading companies led by shareholder friendly management teams with consistent operating performance, significant recurring revenue, solid operating margins, reasonable leverage and strong returns on capital that will typically perform well regardless of economic and industry conditions. Second, we focus on valuation. We are looking to buy a company at a 30% to 40% discount to our calculated fair value. It is often difficult to find this combination. Typically we are able to buy a high quality company that is facing a short-term, solvable problem or issue such as an earnings miss, an acquisition, or some other factor that is misunderstood by Wall Street analysts and other investors. Our long-term time horizon allows us to invest in these situations and profit from their subsequent resolution. Why do you like small cap companies and what investment advantages do they offer investors? We believe it is possible to consistently generate positive alpha by investing in small and mid-cap companies. Our access and interactions with company management teams can provide additional insights to their competence, experience and shareholder-friendly focus while at the same time affording us a deeper understanding of the company’s operating history, business model, key performance drivers, competition and outlook. Additionally, smaller companies are not as well covered by Wall Street. This creates an opportunity for us to identify mispriced stocks well before the market. Are you more fundamentally driven in choosing companies with strong balance sheets or are you looking to invest in companies that can grow based on rapid market expansion? Given our quality orientation, balance sheet strength is more important to us than top line growth. We are looking to invest in companies with reasonable leverage. Depending on the industry, we believe a company should have some debt in order to optimize its capital structure and overall weighted average cost of capital. We do significant work on understanding a company’s debt structure including covenants, maturity dates and the like prior to investment. How did you do during 2007-2008 period when the market tanked? 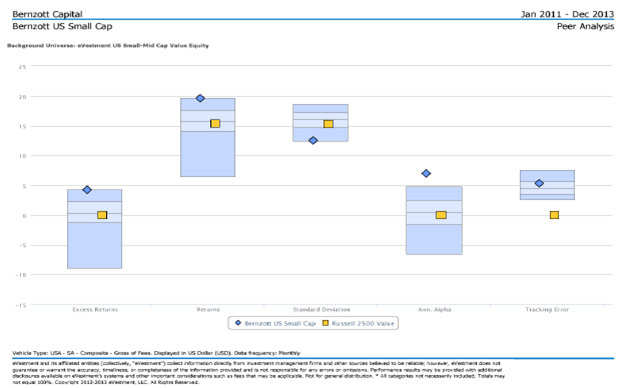 2007 was a particularly difficult year for our US Small Cap Value strategy as it underperformed its benchmarks. Our positions in a REIT, a homebuilder and a money transfer company negatively impacted performance. We learned two valuable lessons: first, focus on investing in companies that can generate their own cash and have unfettered access to capital without relying on the Street, especially during the times when they need it the most; second, don’t rely too heavily on a management’s insights and as well as those of the ratings agencies. In 2008 our US Small Cap Value strategy rebounded strongly and outperformed on a relative basis as our high quality companies held up nicely as expected. Is there an ideal size as to how much money you can comfortably invest or do you ever have liquidity concerns? Currently, we are in growth mode with sufficient capacity and therefore have no plans to limit growth from an AUM or total client perspective. The capacity in our US Small Cap Value strategy is estimated to be $1.5 to $2.0 billion. In January 2011, we initiated our US All Cap Value strategy, an all-cap (ex-micro) value strategy which layers large and mega-cap companies on top of our small cap names. This strategy has been primarily utilized with our legacy high net worth clients and not been actively marketed to the institutional community. 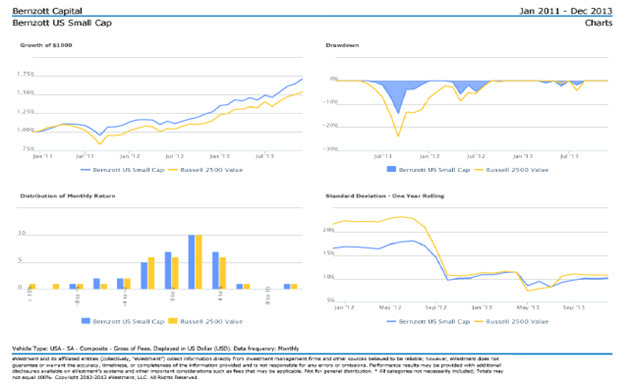 In September 2012, we launched BSCVX, a pure no-load mutual fund mirroring our successful US Small Cap Value strategy. Available on a variety of platforms, BSCVX has a competitive expense ratio of 95bps. We have added staff and allocated resources to improving technology, positioning the firm to more than double AUM by attracting new clients in all three business segments we serve: high net worth individuals, investment intermediaries, and consultant-driven institutions. Our strategies can be accessed through SMAs or BSCVX. Do you have an investment interest in technology and internet sectors? Are there technology sectors you are attracted to or are there some that you prefer to avoid, and why? We currently own five tech or IT related names all of which are more likely to be identified as “old tech.” They meet our high standards and are not speculative in any form or fashion. We do not invest in technology IPOs or anything else that would be deemed speculative. How many companies do you typically own and what is your average annual turn-over? Our US Small Cap Value strategy owns 25 to 35 names and our US All Cap Value strategy owns 30 to 40 names. No two companies we own do the same thing. We feel this number of holdings provides for more than adequate diversification and allows us to capitalize on our best ideas. We typically experience low annual turnover, ranging from 30% to 40%. Are you always 100% invested or do you ever feel the market is so overvalued that you prefer to move some of your assets to cash? We do not make a conscious tactical allocation to cash or cash equivalents. Cash levels instead reflect the valuation of companies in the portfolio and the current opportunity set. What factors signal that it’s time to sell a position? Risk management is an important part of our investment process. While it is important for us to buy at the right price it is equally if not more important to sell at the right price. Sell decisions are made unanimously by the investment team. We understand that in the short-term the market may be volatile so we do not utilize stop-losses. Most importantly, if we determine that we made a mistake, one of flawed thesis or misperceived valuation, we will sell. We also sell on deteriorating fundamentals, when a position reaches fair value or becomes overweighted, or cash is needed to take advantage of a more compelling opportunity. Fair values are evaluated on a quarterly basis or as needed to ensure they remain relevant. Please explain what you mean when you say you are a bottom-up manager. How do you go about diversifying your investment choices? We focus most of our attention on a company’s fundamentals, and go where our process takes us. That said, we are not agnostic to the macro, we just don’t let macro considerations drive the research and investment process. Our industry and sector weightings are therefore a byproduct of our stock selection process. As a result we are often significantly overweight or under-weight particular industries or sectors relative to the benchmark. Again, that is not by design, it is function of our process. Are all your portfolios managed exactly the same or do you tailor portfolios to meet individual investment objectives? 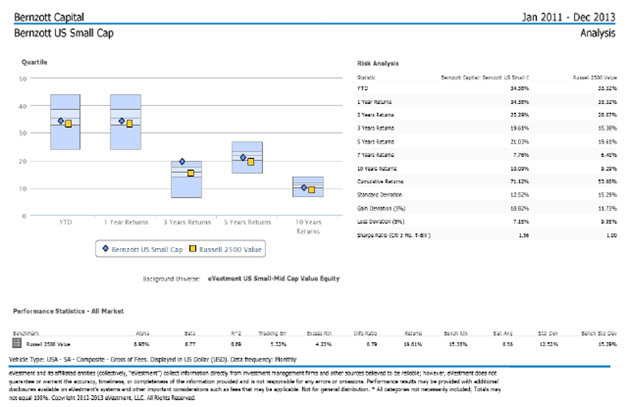 Within our US Small Cap Value and US All Cap Value strategies, client portfolios look very similar. For instance, dispersion in the US Small Cap Value strategy was 1.2% in 2010, 1.3% in 2011 and 1.0% in 2012. Our All Cap strategy consists of a number of high net worth clients and while we manage to our model portfolio, individual client needs require some flexibility on our part when it comes to management of those portfolios. Please explain what differentiates you from other investment managers and describe what kind of client is most comfortable with your investment style. • Strong risk-adjusted returns* – absolute 15.2% per year since inception for US Small Cap Value, superior	Sharpe ratios. • Discipline - We stick to the discipline of our philosophy and process. • Patience - We exercise the patience to buy only when companies are trading at a discount to fair value and then hold them long-term until they reach fair value. Where can readers find more information about Bernzott’s investment services? Please contact Andrew Rosenthal, our Director of Institutional Marketing. His phone number is 805-389-9445 x212 and email address is andrew@bernzott.com. You may also visit our website: http://www.bernzott.com/ and our mutual fund website: http://bcafunds.com/.